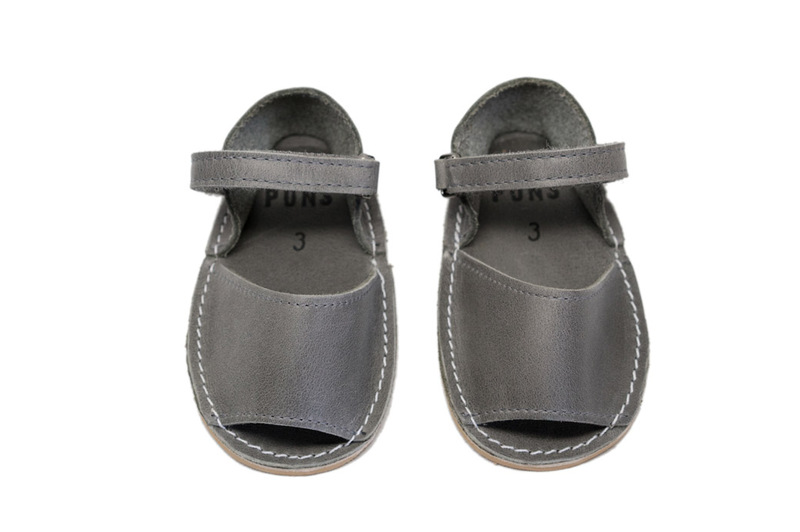 Our Little Frailera Pons in Gray are an easy neutral for pairing with the most inspired little outfits (who says the tiniest humans can’t have great shoes?!). These sandals can match any stylish ensemble while also providing a secure and easy fit with their adjustable velcro ankle straps. Handcrafted on the Spanish island of Menorca, our kids avarcas are produced with soft, high quality leather and a flexible, slip resistant rubber sole.